We’re very sad to say that the Factory was evicted by police, Delta security and court bailiffs at 6am on November 16. Two men were arrested. One was released when police realised he wasn’t the person they were looking for. The other has been bailed until January. He may be facing charges relating to the smashing of windows at the evening post in august. However, the evidence is flimsy to say the least, so he and his solicitor are confident these charges will be dropped. All other residents were simply put out onto the street. Everyone is okay. Thanks to everyone who came out in the morning, those who have helped people find places to stay, and to everyone who has put in work over the last year and a half. The flag is no longer flying on the roof, but the fight isn’t over. We remain in occupation and the building remains in use. 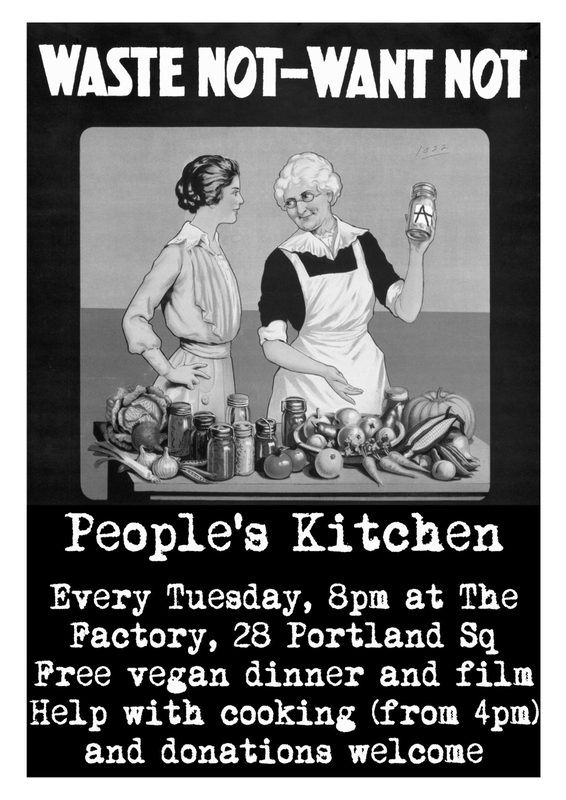 People’s Kitchen will be happening as usual from 8pm this evening, and every Tuesday unless we get evicted. Wear warm clothes. And look out for a special suprise outdoor cafe on Sunday afternoon, weather and bailiffs permit. against the criminalisation of squatting in UK and to send our love and solidarity to our friends and comrades from Orange Fence and The Factory. 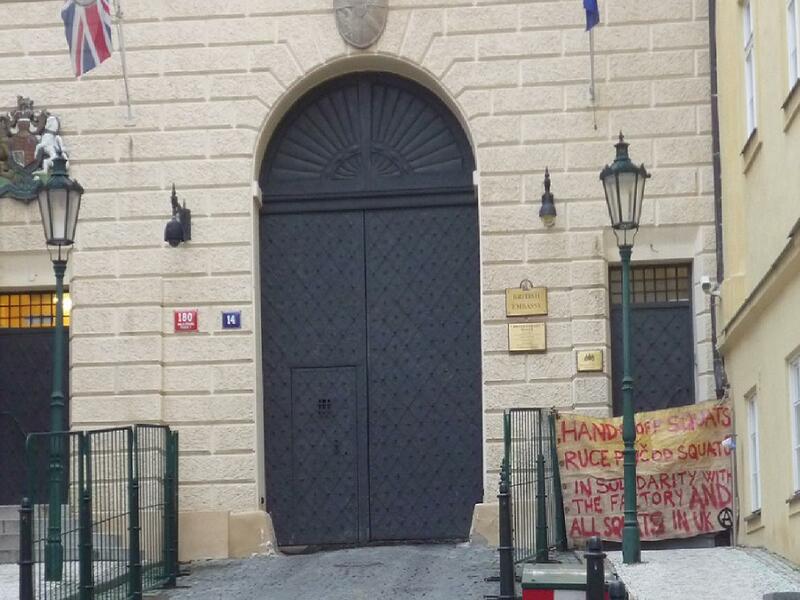 Our attempt to occupy the british embassy failed but we at least managed to block the front door with our banner and spread some english/czech flyers:We are here today to show our solidarity with the English squatter’s movement which is now facing a wave of repression and as well the government efforts to criminalise it. elections, their wars, their boardrooms and all their other games. The only people who win in these settings are the people who already have money and power. We’re not going to win our freedom fighting rigged battles within their system. Criminalization of squatting doesn’t mean end of autonomous spaces. It will not suffocate our desire of self-organization and it will not even stop us from liberating houses from the capitalist machine. We want and we need homes not shopping malls, banks and posh hotels. Here in Czech Republic, in UK and everywhere else. HANDS OFF THE FACTORY, ORANGE FENCE AND ALL THE OTHER SQUATS! The owners were granted possession forthwith in court this afternoon. Their lawyers told a representative form the Factory that the earliest bailiffs would come is Friday am. We’re keeping alert and ask people to stay ready. Thanks and love to everyone who was on the demo and waiting on Cave St today. We’re not attending court for the possession hearing Wednesday morning. We’ll see you on the streets. We will always lose in their courts. We will always lose in their elections, their wars, their boardrooms and all their other games. We will win together, outside of and against that system: in the streets; in the squares; in the occupied spaces. 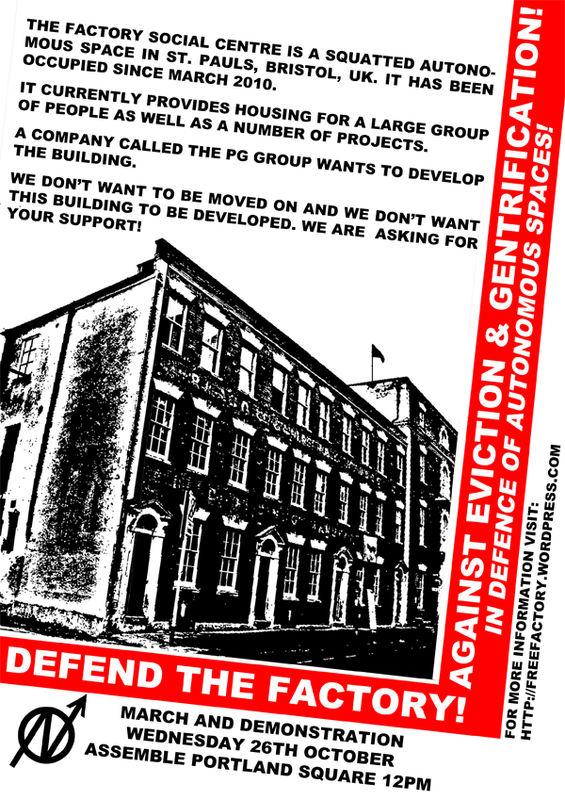 DEMO FOR THE FACTORY TOMORROW (WEDNESDAY 26/10/11) AT NOON IN PORTLAND SQUARE. BE READY FOR POLICE AND BAILIFF ATTACK FROM THIS TIME ONWARDS. October the 1st 2011 will mark one year since the Kraakverbod made squatting illegal in the Netherlands. However, hundreds of people still squat and will continue to squat. With squatting in the UK coming under threat, join us to hear 3 squatters from Amsterdam talk in several cities across the UK about squatting before the ban, resistance to the criminalisation and what’s been happening since the Kraakverbod became law. with some space for questions and discussions afterwards. We recently recieved court papers from the owner looking to gain a possession order on the building. Today we recieved new papers which brought the court date forward 5 days. 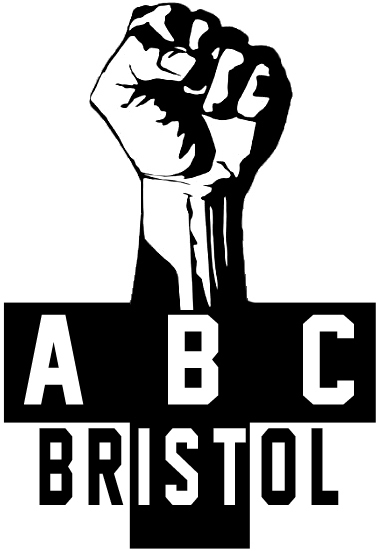 Our court date will be on Wednesday 26th October at 2:30PM at Bristol Civil Justice Centre. We don’t want to be moved on and we don’t want this building to be developed. We are asking for your support! Please join us for a March and Demonstration against the proposed threat of eviction. Assemble at Portland Square, St. Pauls at 12:00PM on Wednesday 26th October! In defence of autonomous spaces! We meet every Thursday at 7pm at the Factory. Everyone is welcome. Also please come and visit if you feel like it, we are working on the space daily and just drop in for a chat, look round, cup of tea and to find out what's going on! Click MAP (above) to find us!